What is a responsible dog breeder? So what do you do? Tell them no, they’re too young, or are they old enough? What now? Do you pick up today’s local newspaper and look at the pet section? Do you google “puppies for sale”? Or do you do the smart thing and start talking with the family about what kind of dog would be THE DOG for your family? There are so many ways to find out what breed would be THE BREED for your family, so many resources you can use to decide on one. Once you have made that decision, now you start THE SEARCH. How do you find the right puppy? First, you have to find the right breeder. What, you might ask, is the difference? If you’re smart, you’ll want a responsible breeder, one who has spent years researching pedigrees of the breed, knows the specifics of not only the breed, but of the line she/he breeds. A responsible breeder can tell you generations behind the dogs you see in their home or kennel. A responsible breeder will not let a puppy go too young, before the puppy has proper immunizations and socialization. A responsible breeder is someone who is willing to talk to you and answer questions you have, whether you’ve already committed to purchasing a puppy or not. They are there for you and the puppy whether the puppy is 5 months, 5 years or 13 years old. A responsible breeder does not sell you a puppy; they have you join their family and are available for information, for advice, and, if necessary and something unforeseen happens in your life, they are there to step in for you and take the puppy/adult/senior dog back. A responsible breeder is there before the puppy is conceived, they are there thru all the crazy puppy antics, they are there thru the smiles and the tears. A responsible breeder is the one who planned for a specific breeding, spent the long sleepless night getting the puppies here. A responsible breeder is the one spent days and weeks watching the puppies, training the puppies, making sure the puppies were ready when the time comes to join their new families. A responsible breeder is your best friend. Julie Hill is part of our Breeder Ambassador initiative and breeds Scottish Terriers. 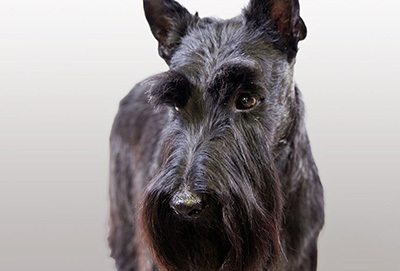 For more information on Scottish Terriers or to join the Scottie Club of America please visit the parent club website here.